Makita was well ahead of the other brands when they were the first to come out with lithium-ion powered cordless tools. This gave them a huge jump start, which is also why they have the largest selection of 18-volt lithium-ion tools. They also have the oldest battery; so it is very possible that Makita has been working on their next generation battery. What is claimed in this patent is a way for the battery to measure and display the amount of energy stored in the battery. So it has a fuel gauge. 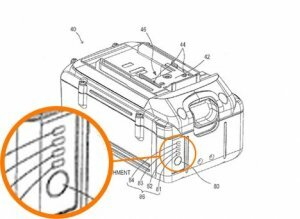 But the patent also goes a step further and describes a method of monitoring the health of the battery, specifically checking for abnormalities, and displaying this information on the battery. So this patent could shed some light on what Makita could be working on; and if a new battery is on the way, the chances of a higher Ah option being available are also pretty good. But I warn you that this patent could also mean nothing. Companies often submit patents for products that never see the light of day. But the idea is on someones mind.